Album art used to be an inseparable part of music, back when it came in record or CD format. But there’s a way to capture some of that magic even today, using a free application. Read on to see how! 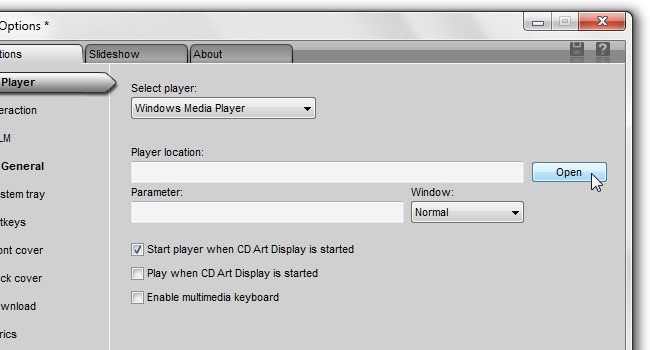 We’re going to use a freely-available program called CD Art Display. So the first thing you need to do is download and install the application itself. Here’s a direct link to version 2.0.1, the most recent one. Once you have CD Art Display installed, run it. You should see a black, blank CD cover. Right-click it and select Options. In the Options window, open the listbox under “Select player” and click your player’s name. 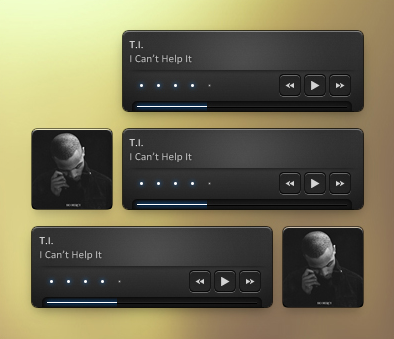 Some players (such as Foobar2000) require an extra component on the player side. 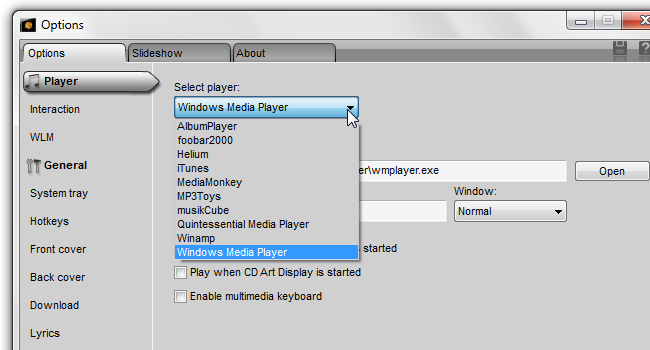 But other players, such as Windows Media Player, don’t require any extra steps. That’s what we’re going to use for the purpose of this article. 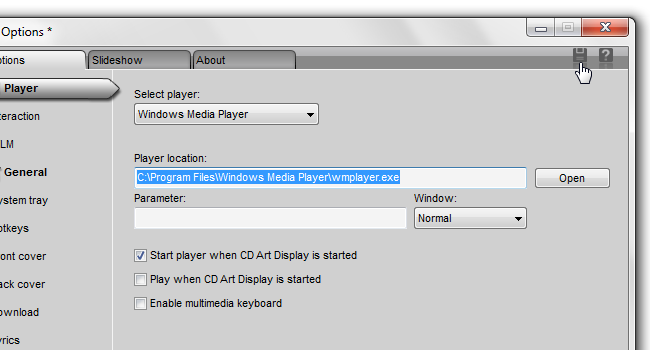 After selecting your player, click Open in Player Location and navigate to wherever your player’s main executable is located. 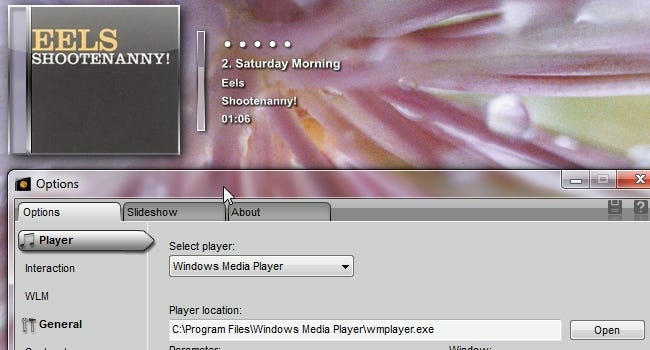 For Windows Media Player, this is C:\Program Files\Windows Media Player\wmplayer.exe. Winamp will probably be C:\Program Files\Winamp, etc. Now save the options by clicking the disk icon on the top-right corner, and close the Options window. CD Art Display has a boatload of other options, but none of them are strictly essential to getting it to work. So now let’s see if the system works! As you double-click one of the tracks, the album should start playing and you’d be able to see its cover on your desktop. CD Art Display has quite a few other tricks up its sleeve. 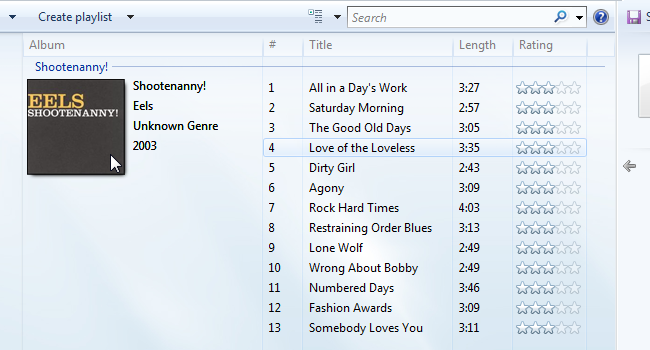 For example, you can rate a song directly from your desktop, as in the screenshot below. 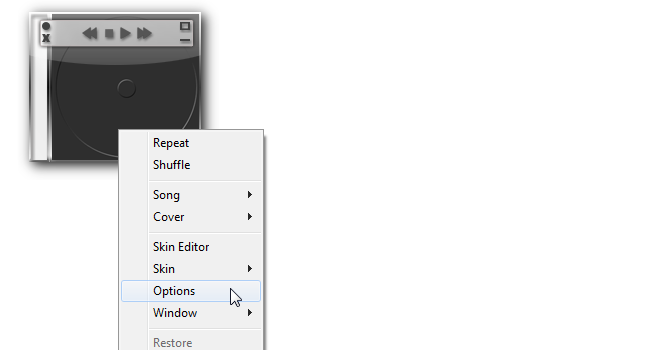 You can move to the previous track, stop, pause/play, move to the next track, minimize CD Art Display and more. If you made it this far, chances are you have at least some album art. But is your album art collection complete? After fixing up your music library, the next step may be getting album art for all of those CDs. If you’re looking for the some tips on how to do that, keep your eyes peeled – we’ll soon be publishing a how-to showing a simple way to get album art.